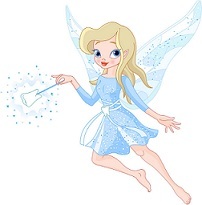 The tooth fairy visit is a BIG deal to young children. Adults know the procedure quite well. First there is the tiny wiggle that children feel with their tongue. 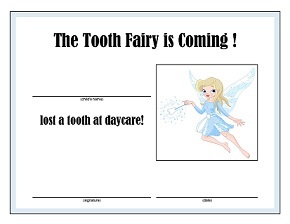 Knowing they have a loose tooth becomes a focus for them. Each day the tooth must be felt and proclaimed slightly looser than the day before. Until finally, … the big day arrives. The child stands before you, tiny tooth in hand, typically a bleeding gum, and an ear to ear grin. Give the child some time to share this experience with the other children. Children are quite proud when showing their tooth to others, so let them savor the moment. When a tooth comes out in a daycare setting, you’ll need to keep that tiny tooth safe until the parents arrive. The solution is really quite simple. 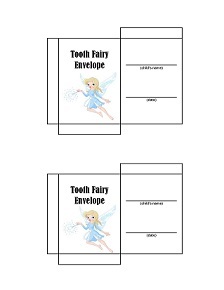 Create a tooth fairy envelope. These are “just right sized” envelopes that come two to a page. Simply print and cut them out. Fold the flaps and tape to create a cozy place to store the little tooth. Make sure to place the child’s name and the date in the appropriate place on the envelope. Place the envelope where you know it will be safe. I always put them on top of the refrigerator. Too high for kids to easily reach and easy for me at the end of the day. Click on the picture for a larger view and for printing. Once that is done, you may also want to give a lost tooth award. This is a nice permanent reminder that the child lost the tooth at daycare. Choose a full size award or a smaller version with two on a page. 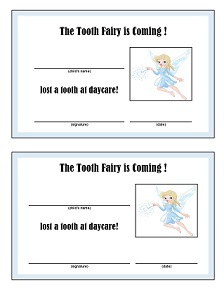 I print the tooth fairy awards out on picture paper giving them a glossy look and a firmer feel. Make sure to let the award dry before adding your signature and the date. I guarantee, with these two items in hand when the parents arrive, the child will be bubbling over with excitement. The parents will also be pleased that you took the time to make this event in their child’s life so special.